Look the computer in the eye: the new software analyses eye movements to draw conclusions about a person’s personality traits. Dhaka, 11 August, Abnews: Computers are gradually learning to interpret human behaviour – and can now also do so by analysing the way people use their eyes. 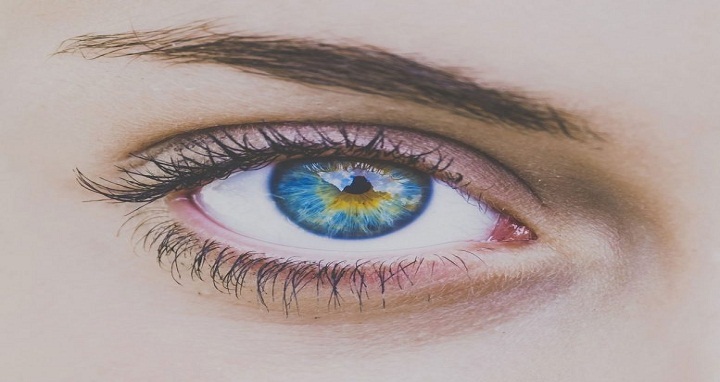 A team led by researchers from the Max Planck Institute for Informatics has developed a software system that can draw conclusions about a person’s personality traits by using artificial intelligence to evaluate their eye movements. People also tend to make subconscious assessments of character on the basis of visual behaviour. In order to make human-computer collaboration more social, efficient and flexible, the new software system is now able to process a person’s eye movements to calculate for example how neurotic, extrovert and curious they are. “Besides allowing us to perceive our surroundings, eye movements are also a window into our mind. They reveal who we are, how we feel and what we do,” explains Andreas Bulling, who leads thePerceptual User Interfacesresearch group at the Max Planck Institute for Informatics and the Cluster of Excellence at Saarland University in Saarbrücken. Humans can read the social signals sent by the eyes as a matter of course and without being aware of doing so. Andreas Bulling is now working with scientists in Stuttgart and Australia to teach this skill to computers. This means for example that robots will eventually be able to use and understand the nonverbal communication channels used by humans. The team has developed a machine learning based software system for this purpose. The software evaluates eye movements recorded by an eye tracker to predict the subject’s personality traits. The researchers used artificial intelligence to train their software to predict four personality traits used by psychologists to characterize people. The software was then able to analyse how neurotic, agreeable, extrovert and conscientious the test subjects were, as well as their degree of curiosity. “The predictions are not yet accurate enough for practical applications, but the system is sure to become more reliable in the future,” says Andreas Bulling. One of the reasons for his optimism is that it will in future be possible to train the system using significantly larger data quantities together with information provided by a camera already integrated into the eye tracker that can show what the wearer is seeing. The training and evaluation data was provided by 50 students at Flinders University in Australia with an average age of 22 years. The eye tracker filmed the eye movements of the test subjects as they spent approximately ten minutes walking around campus and buying coffee or other items from the campus shop, paying special attention to where they fixed their gaze and how often they blinked. Afterwards, the scientists asked the students to fill out a set of questionnaires that psychologists have been using for many years when conducting personality tests. “The knowledge about nonverbal behaviour we acquired in this study could for example be applied to robots to make their behaviour more human. Systems of this kind would then be able to communicate with humans in a much more natural fashion, which means they could be used more flexibly and efficiently,” explains Bulling. However, the software could also benefit people with autism and other disorders who have difficulty with nonverbal communication, as it would be able to help them interpret other people’s visual behaviour and control their own eye movements, for example to avoid staring at others.